Tax season can be a hectic and stressful time of year, particularly for people who are already struggling with marital issues. While you may have previously delegated the task of preparing your taxes to your spouse, if you are going through the breakup of your marriage or a separation you will want to be more involved in the process. It is important to be aware that both current and prior year tax returns can hold important details that may be relevant in divorce proceedings concerning issues which could end up impacting your financial security in the years to come. One of the most important types of information obtained through tax returns regards you and your spouse’s income and assets. This information is pertinent in resolving divorce related issues under the Florida Statutes, such as marital property division and the rights to spousal support. 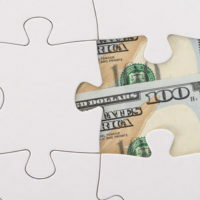 Hidden sources of income and earnings: Under reporting income streams, such as commissions or yearly bonuses, is a common way for a spouse to avoid paying higher amounts of alimony or child support. Stocks and investments: It may come as a surprise to find out that there are additional financial accounts you are not aware of. If they were purchased during your marriage, you are entitled to a share. Retirement accounts: Retirement benefits can represent a significant portion of your marital settlement and can help ensure you are provided for in the years to come. Business interests: Tax returns will reveal whether your spouse has any privately owned business interests or partnerships that you are not aware of. While going through the current and previous years tax returns can help you uncover hidden assets, it can also alert you to hidden liabilities as well. If your partner has handled paying taxes over the course of your marriage, it may come as a shock to find out that you have tax debts. If you do discover that you and your spouse owe money to the Internal Revenue Service (IRS), you may be able to avoid being held personally liable by claiming you were an ‘innocent spouse’, with no knowledge of the debt or involvement in incurring it. Fort Lauderdale divorce attorney Vanessa L. Prieto can help uncover hidden assets and liabilities which have the potential to impact your financial security both now and in the future. Get the legal guidance you need in your divorce case and contact our office today to schedule a consultation.